I recently received my Custom Cut Hybrid IWB holster from Cleveland Holsters. I have been wearing it for a few days now with my day to day carry, so I thought I would write a review based on my experience with this product so far. 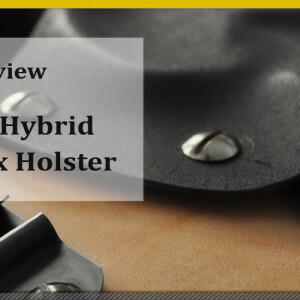 The things I will be focusing on when reviewing this holster, just like any others I do in the future, are things that everyone should be focusing on when choosing a quality holster for themselves. 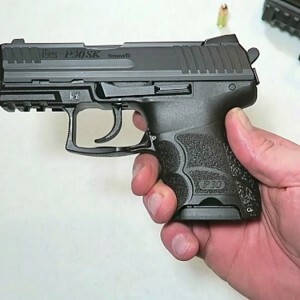 This means my initial expectations of the product and how well it met those expectations, the Quality and features this product has, how comfortable this holster is to wear on a regular basis, and how well it actually conceals a firearm. Hopefully this will help you out with your search for a quality holster. Personally, when I start researching holsters, no matter if they are for open carry or concealment, I always check for the most important things to me when it comes to what I am looking for. This includes; is it worth the price? Is it durable? Will it function as it is supposed to? And probably most important, is it comfortable? 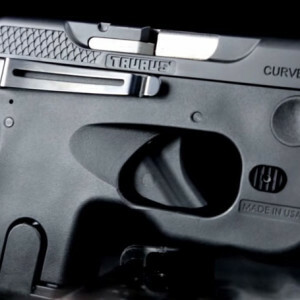 Let me back track for a minute and just say, before placing my order I had been talking with Bobby over at Cleveland Holsters to get to know more about their product and what made them stand above the rest. After talking to him for a while I starting to truly respect not only him as a person, but the company and how they handled themselves. As I was setting up my order he had mention that they were extremely busy, and it was probably going to be about 2-3 weeks before I received my holster in the mail. That was no problem, I know some of these holsters can take a while to make and shipped out, no big deal. But it was a pleasant surprise when just over 1 week later I receive an email with the tracking information. When I got that email I instantly became like a kid on the night before Christmas. I was so excited I kept checking the tracking to see when it was going to arrive. So by the time the package finally got here a couple days later I had gotten my hope and expectations raised so high, it was as if I was expecting to open the package to see this gold plated, rare gem incased holster, that shined like the sun. Pretty ridiculous I know, but many of you out there know exactly what I am talking about. That being said once I got over the impractical delusion I was having about Santa Clause dropping off this miracle holster, I was pleasantly surprised when I first started examining the product, and as you will see below, it in many ways exceeded my expectations. The first thing I did after I pulled the holster out of its packaging was to examine all the parts to make sure they lived up to what I had heard about the product. I checked all the edges of the Kydex to find that they had taken the time to de bur, and polish all the edges, making sure all surfaces were smooth. Then I looked at the leather to see if there were any major blemishes or rough spots, because as some of you may know, some leather is just not of good quality. 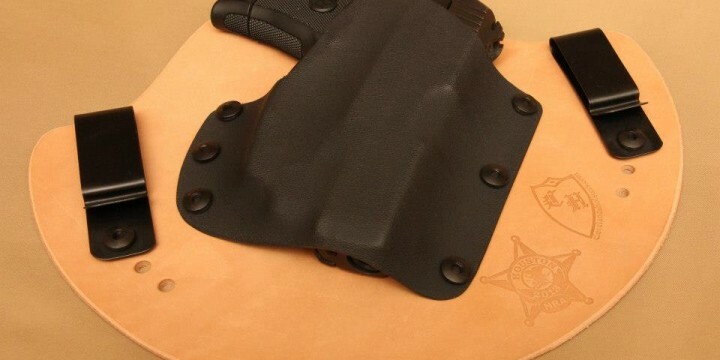 I will say this, these guys handled all the materials with such care and attention I could not find a single rough or sharp spot on this holster. I am truly impressed with the craftsmanship put into this product, and based off that I can tell they truly do believe in the quality of the product they make. After going over the product I started to look at the features of this holster. Not only is it made of high quality horse hide that is better at protecting against moisture, they even send you thread lock to make sure once you get the cant and height adjusted just right, you don’t have to worry about the screws coming loose. I will be honest here, when I first started adjusting the cant to position the holster exactly as I like it, it was a bit difficult. Now that is not necessarily a bad thing and I will explain why. Cleveland Holsters designed this product with the ability to have 441 different cants to choose from, most other holster only offer 16. So you can see how adjustable this holster really is. So at first it was a bit overwhelming trying to get my firearm exactly as I like it. However once I was able to get the cant and the ride height exactly as I like it this holster fits extremely well. There are no bunching or pointy spots that dig into my hip or ribs, and movement with this holster is not impeded at all. 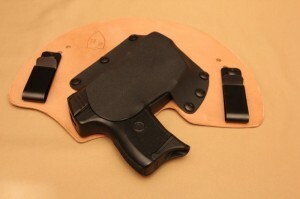 That brings us into comfort, and as I mentioned earlier, comfort is probably the most important aspect of every holster. You can have the most fancy or the cheapest, if it is not comfortable you will not wear it, it really is just that simple. When you first pull this product out of its packaging you will notice that it is extremely stiff, the leather is hard, the screws on the back look as if they will dig into your side, and it is fairly big, but don’t let your eyes fool you. I know at first mine had me questioning if I was even going to want to wear this thing for more than 5 minutes. But I adjusted everything, spent about 5-10 minutes figuring out exactly where to position the holster because too far forward and the leather impeded your leg from rising, too far back and I was chicken winging my arm, but eventually I got it to sit just right on my hip. Mind you I am a fairly small guy so positioning any holster for me is a bit more of a struggle, because there is really only one spot for it to fit. That being said, once I got everything where I needed it to be I was actually surprised that the holster fit as if it was not even there. 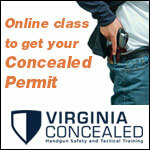 I can sit, stand, walk, run, even jump and the holster along with my firearm stays in place not causing any discomfort. Even when I am driving or sitting on the couch I do not have any areas that rub or poke into my side, which includes the firearm. Now we get into our last, but for most people, one of the more important features to look at. 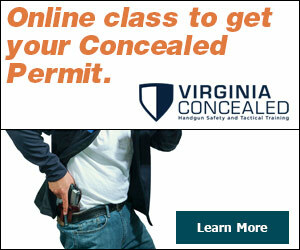 Does this set up actually conceal a firearm as advertised? And I am not talking about just under a jacket or bulky shirt. The simple answer is yes! Looking back at all the different cant options, it is hard pressed to find one that will not work perfect for whichever way you like to carry. 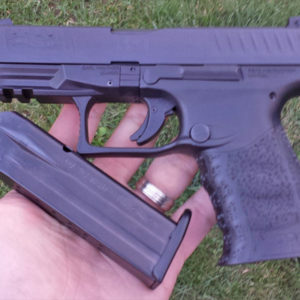 I was able to get my full size M&P 40 to sit low into the waistband at a forward cant so that even with a tighter fitting T-shirt my firearm does not print. Again I am a small guy, I have a small gut but it really isn’t that large, so my body is doing nothing to assist the holster to conceal the firearm, this holster simply does it on its own. For the first time, I was able to put on one of my Harley T-shirts and not have to worry about either the grip of the pistol (the whale tail as some call it) or the rear sights poking too far out causing the firearm to print. Even when I bend over or twist to one side all you can really see is a small spot where the Kydex is pressing against the waistband, but honestly it looks more like the belt is there not a firearm. 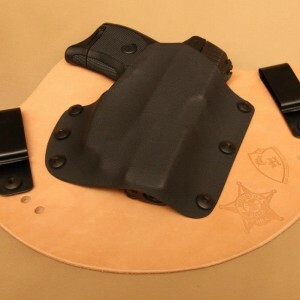 So as far as concealment goes this holster gets top ratings from me. Overall after a few days of using this holster with my day to day carry, I am hard pressed to find anything I don’t like about this product, and usually it’s within the first few days before the holster is broken in completely when you will find nothing but issues. 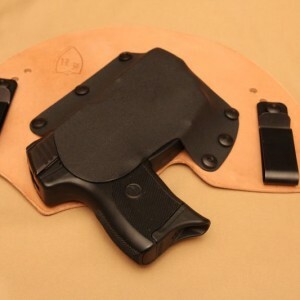 Cleveland Holsters Hybrid IWB Custom Cut holster is extremely comfortable. My firearm sits very snug against my body and does not move around when I am in motion. The quality and craftsmanship behind this product is uncanny, and I will be referring this product to anyone who wants to take my opinion on the matter, because I know this company will stand behind their work, and they will only send you the best. Don’t want to take my word on it? 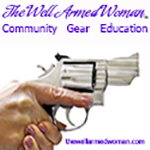 I encourage you to order one for yourself and try it out, because everyone is different when it comes to what they want and need in a holster. Hopefully this helps you, not only with this particular product, but with what to look for when choosing the right Holster for yourself. 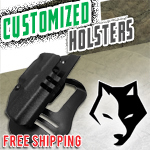 If you have any questions please feel free to ask, I will do my best to answer anything I can, or for more information about this product go over to Cleveland Holsters Website and check it out for yourself.